What happens in Portland in July? OSCON! At this year's conference, Go was more present than ever before, with five talks, two workshops, a Birds of a Feather session, and a meetup. Matt Stine talked about his experience switching from Java to Go with A recovering Java developer learns Go while Steve Francia presented Painless Data Storage with MongoDB and Go. Steve also presented Go for Object Oriented Programmers, where he explained how some object oriented concepts can be implemented in Go. Finally, Josh Bleecher Snyder talked about his experience writing tools to work with Go source code in Gophers with hammers, and Francesc Campoy talked about all the things that could have gone wrong and what the Go team did to prevent them Inside the Go playground. At the beginning of OSCON's workshop day, Steve Francia presented how to build a web application and a CLI tool during Getting started with Go to a big room full of Gophers. In the afternoon, Chris McEniry gave his Quick introduction to system tools programming with Go where he went over some useful skills to write system tools using Go and its standard library. To take advantage of the increased Gopher population in Portland during OSCON, we organized two extra events: the first PDXGolang meetup and a Birds of a Feather session. At the meetup Francesc Campoy talked about Go Best Practices and Kelsey Hightower gave a great introduction to Kubernetes, a container management system for clusters written in Go by Google. If you live in Portland, make sure you join the group and come along to the next meeting. The "Birds of a Feather" (or, more aptly, "Gophers of a Feather") was a lot of fun for everyone involved. We hope to see more of you there next year. 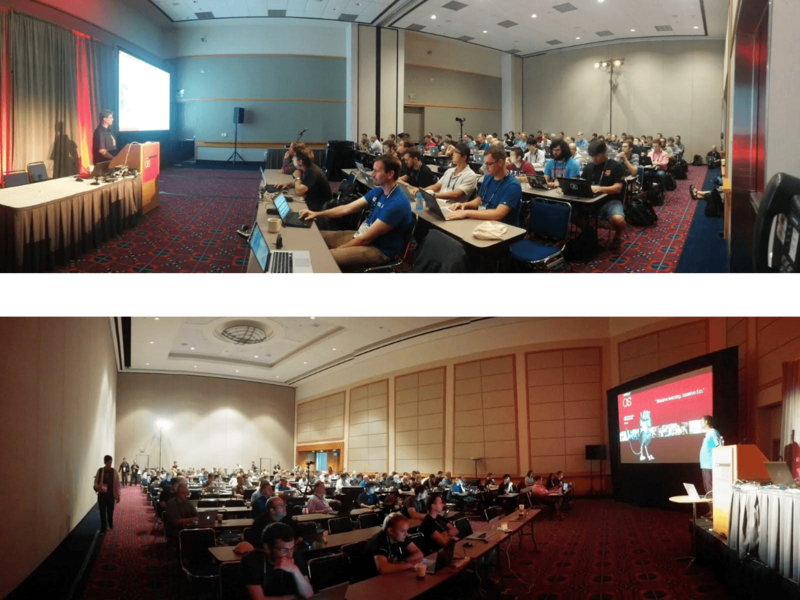 Thanks to all the gophers that participated in OSCON. After the successes of this year we look forward to more Go fun at OSCON 2015.